Todd Haynes gets lost in a museum. 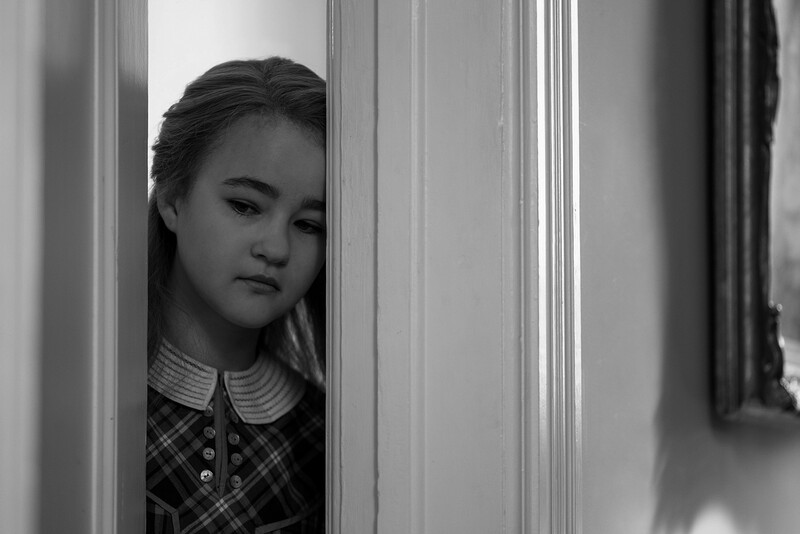 Young actress Millicent Simmonds can't save Wonderstruck. In a small Minnesota town in 1977, a 12-year-old boy named Ben (Oakes Fegley) is plagued by a recurring nightmare of vicious wolves, in addition to serious family troubles. Shortly after an accident causes him to lose his hearing, Ben takes a bus to New York City on a personal quest to find the father he never knew. Cut to another deaf preteen, Rose (Millicent Simmonds) from Newark, N.J., circa 1927. Her childhood consists mostly of escaping her strict upbringing by idolizing a silent movie star (Julianne Moore). Rose's journey of discovery also takes her to Manhattan, where she visits the stage theater in which the actress is appearing. Fifteen minutes into Todd Haynes' Wonderstruck, we're doing some wondering of our own. How and when are Ben's and Rose's parallel stories, 50 years apart, going to tie together? What, if anything, is the significance of their shared hearing impairment? We also wonder why Rose's thread is shot in black and white as a silent film, while Ben's is in color, with periods of audio silence to indicate his hearing loss. Things begin to open up a bit when Ben makes his way to the American Museum of Natural History, but only in the context of these two apparently unrelated kids from different eras, seemingly connected only by their deafness, both searching for... what? Haynes has constructed some of the most original American movies of the past 20 years — Velvet Goldmine, Far from Heaven, I'm Not There, Carol — all benefitting from their outsider's point of view and dripping with ironic social commentary. Wonderstruck is not like the rest. The screenplay is adapted by Brian Selznick from his own novel. He wrote the book from which Martin Scorsese's Hugo was made, and there's a striking similarity between the two movies. They're both children's stories that only grownup romantics can relate to. In Selznick's case (and presumably, by adoption, Haynes' own taste), it's a preference for wildlife dioramas, Georges Méliès, and Lillian Gish as opposed to Pixar or video games. A gaze inward, a private fantasy. The cultural artifacts that so captivate Ben and Rose — dusty scientific exhibits and the exaggerated role-playing of silent movie divas — don't fascinate real 12-year-olds at all, only middle-aged art consumers enchanted by the past. And so, when we follow Ben deep into the museum's cabinet of curiosities or watch Rose tiptoeing up to her idol, we're trying to envision antique wonders of the world through the eyes of long-ago children, as we imagine them. The maudlin mood conjures up a fairy tale twice removed. Wonderstruck becomes a curiosity in its own right. Let's at least congratulate filmmaker Haynes for the courage of his convictions. Young actress Simmonds, hearing-impaired in real life, truly has a face made for a D.W. Griffith epic from 100 years ago. Haynes veterans Moore and Michelle Williams lend warmth where it's desperately needed. Jaden Michael, as Ben's newfound pal Jamie, temporarily enlivens the action at just the right moment. Carter Burwell's music score and Edward Lachman's cinematography add a nostalgic luster. The period settings are remarkable. Haynes and Selznick's dreamlike voyage into the past, however, fails to bridge the gap between then and now. It's a replica museum piece on a shelf. Wonderstruck is successful only from the narrowest of perspectives. No wonder. Directed by Todd Haynes. With Oakes Fegley and Julianne Moore. Opens Friday.